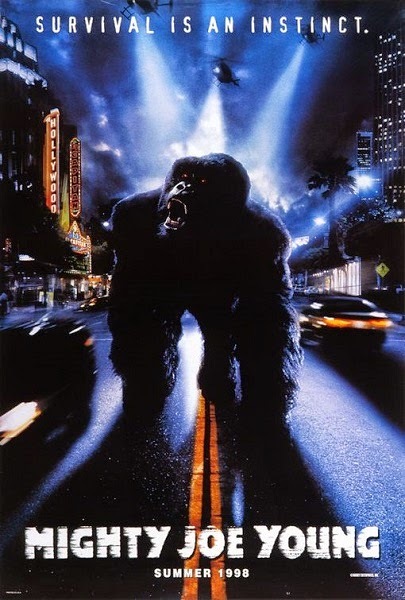 This time, a beautiful woman in an elegant gown inspires a bit of deja vu in Ron Underwood's 1998 remake of the monster classic Mighty Joe Young. This little movie was one of the pleasant surprises of that year, an exciting family adventure film with heart. As a remake, it also managed to bring something new, in this case a conservation angle, to the story of a gentle giant of a gorilla moved from his African habitat to the U.S. under the loving care of his childhood friend Jill Young, played here by Theron. During a gala press event held to promote Joe taking up residence at a wildlife preserve, Jill enters and wows the crowd with her gown. 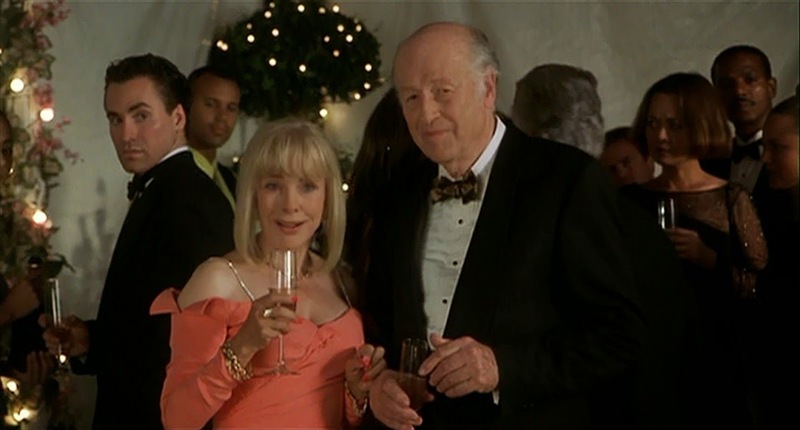 Among the partygoers she impresses are an elderly couple. "She reminds me of somebody but I can't think of who it is," the woman muses. "You, when we first met," her companion responds warmly. The comparison is apt because she is in fact Terry Moore, who played the role of Jill Young in the original film and still looked pretty damn amazing fifty years later. 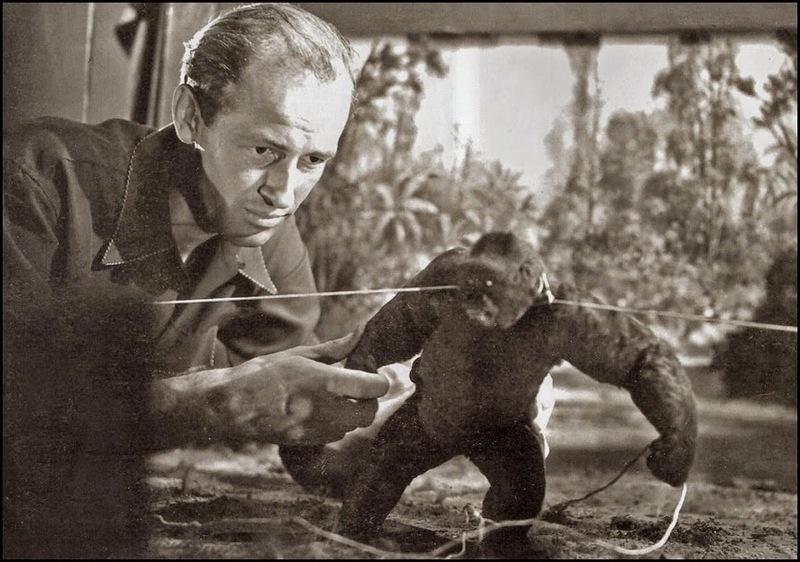 And he ought to know since he's Ray Harryhausen, the late stop-motion effects master who was part of effects technician Willis O'Brien's crew on the original film and helped that movie win a visual effects Oscar. 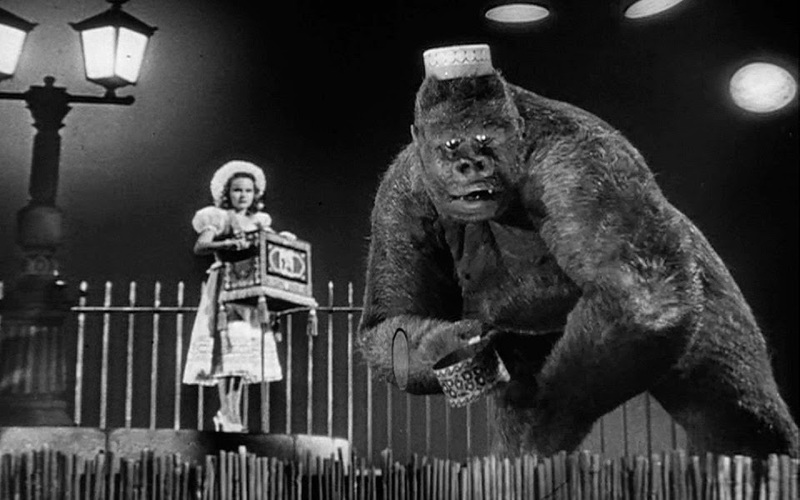 A fun extra note: allegedly Harryhausen visited the remake's effects team as they crafted the CGI version of the benevolent ape (also brought to life through the amazing talents of make-up man Rick Baker) and was urged to sit at one of the computers and check out their toys. They comment that even with his stated preference for the tactile results of stop-motion models and his complaints over modern CGI, he played around with the software and started to get into it despite himself. Terry Moore looks great, even today...nearly 20 years after the remake.